Ickford Church dates from around 1170, and is small, quiet and beautiful. It lies on the side of an active village on the Buckinghamshire and Oxfordshire border. 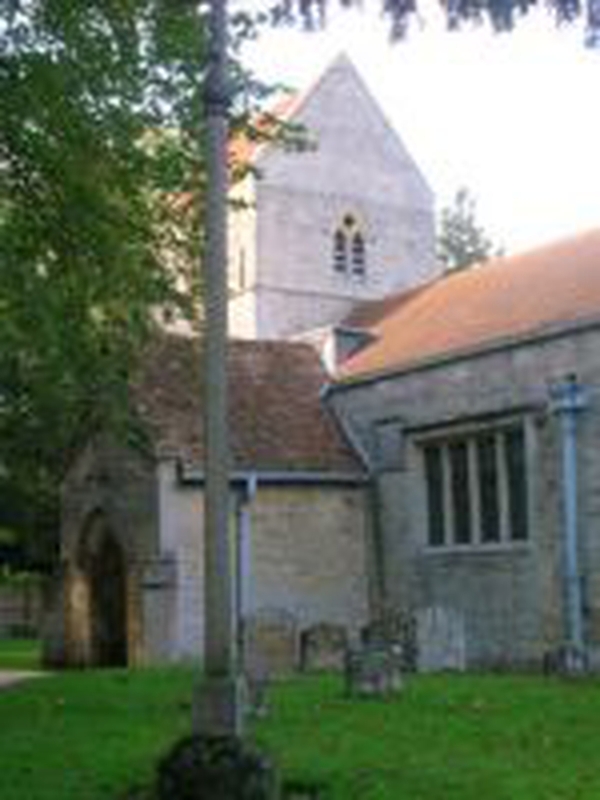 Particular features of note are the variety of window styles, some exceptional furniture, and the Tipping Memorial, a design based on a famous memorial in Burford (see picture gallery). Amongst our priests was Gilbert Sheldon (1598-1677) who gave his name to the Sheldonian Theatre. Our vicar is Rev David Kaboleh, who lives in the Rectory at Worminghall. We are a small but active congregation. Half our services are lay-led, and we are lucky to have members skilled in a number of areas - preaching, music, flower-arranging amongst them. Once a year we celebrate our Patronal Festival with a special service, and enthrone a child bishop. There is always a warm welcome at St Nicholas, and we look forward to seeing you. Stones in our churchyard that are over 100 years old are heavily weathered, and it is unlikely that we will be able to find lettering clear enough to help you in your search. Many thanks for your interest in Ickford and its church.